Income chargeable under the head "Profits and gains of business or profession" or "Income from other sources" shall, subject to the provisions of section 145(2), be computed in accordance with either cash or mercantile system of accounting regularly employed by the assessee. 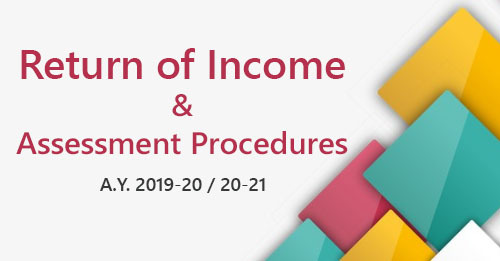 The Central Government may notify, in the Official Gazette from time to time, income computation and disclosure standards to be followed by any class of assessees or in respect of any class of income. The Central Government vide Notification No. 87/2016, dated 29.9.2016 has notified certain Income Computation and Disclosure Standards to be followed by all assessees. Where income has not been computed in accordance with the standards notified under section 145(2), the Assessing Officer may make an assessment in the manner provided in section 144. The valuation of inventory shall be made at lower of actual cost or net realizable value computed in the manner provided in ICDS. The valuation of purchase and sale of goods or services and of inventory shall be adjusted to include the amount of any tax, duty, cess or fee actually paid or incurred by the assessee to bring the goods or services to the place of its location and condition as on the date of valuation. Inventory (being securities not listed, or listed but not quoted, on a recognised stock exchange) shall be valued at actual cost initially recognised in the manner provided in ICDS. Inventory (being securities held by a scheduled bank or financial institution) shall be valued in accordance with ICDS after taking into account extant guidelines issued by the RBI. Inventory (being listed securities) shall be valued at lower of actual cost or net realisable value in the manner provided in ICDS and for this purpose the comparison of actual cost and net realisable value shall be done category-wise. Any tax, duty, cess or fee, by whatever name called, under any law for the time being in force, shall include all such payment notwithstanding any right arising as a consequence of such payment for the purposes of the said section. Income Computation and Disclosure Standard X relating to provisions, contingent liabilities and contingent assets. The above notification shall apply to the assessment year 2017-18 and subsequent assessment years.